Allows you to reach potential customers with repeat exposures to your message by targeting recent visitors to your website. Highly targeted. Reach relevant customers who already know about your business. 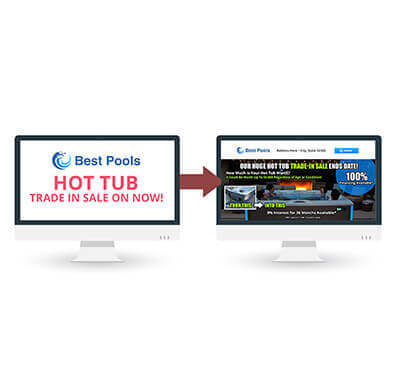 Site retargeting will benefit any pool construction, service, hot tub, or retail company that wants to reach people familiar with their business.